Islamabad: From the gypsies of Rajasthan to whirling sufis, the exhibition of miniature paintings by artist SA Noory, covers both the rustic life and spirituality. His work, that incorporates water colours with intricate finesse of brushwork, was opened for display at Gallery Louvre here on Friday. 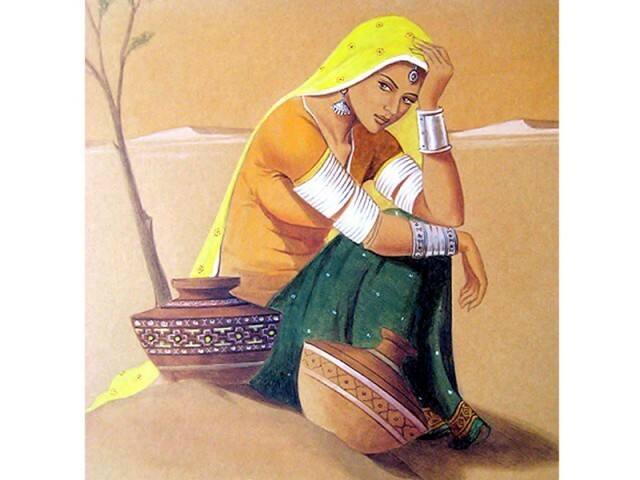 Noory has concentrated on the desert plains of Rajasthan where the women wear draping ghaghras with white bangles on both their arms; a common sight in the barren sand dunes. First appearing on the art scene in 1998, Noory’s fascination with Rajasthan began 10 years ago. The fine brushwork being his forte, he paints chiseled features of men and women of the desert along with their young ones. 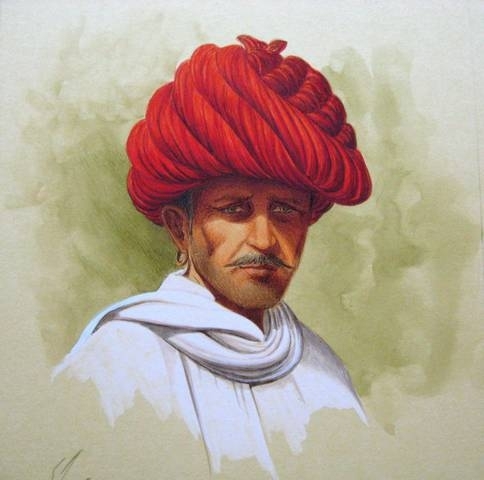 However, even though the influence comes from Rajasthan, the people in the paintings remain ‘fictional’. “I don’t take pictures, rather paint using my imagination,” he said. The women are slender with delicate hands and feet, often holding earthen pots and waiting in anticipation with their heads bowed down in despair. The hues of light brown, beige and sandy tones not only emanate a desert-feel but add a hint of romanticism to his work. Noory’s work is nuanced with Sufism- white bearded men in trance, holding the Quran. Perhaps the most intriguing piece is a painting of a tall, bearded man with his hand outstretched upwards holding onto a rope as he looks serenely towards the sand. The rope goes straight into the sky and out of the painting where the viewer is left wondering where the other end of the rope must be. He is quick to clarify that the rope symbolises the path to Allah. The expression of complete peace on the old man’s face is proof of Noory’s control over the brushwork. Smaller paintings of old men with their large deep red, yellow and white turbans with tanned faces peering in and out of the frame are a refreshing change from the norm. The exhibition will continue till April 15.